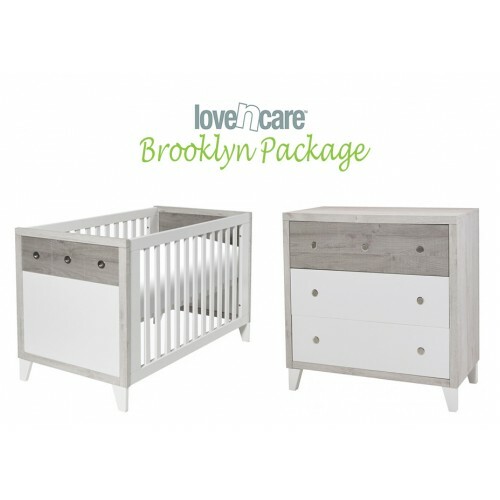 Complete your nursery with the Love n Care Brooklyn Package. The Brooklyn range will make a statement in any nursery with its beautifully eccentric design. 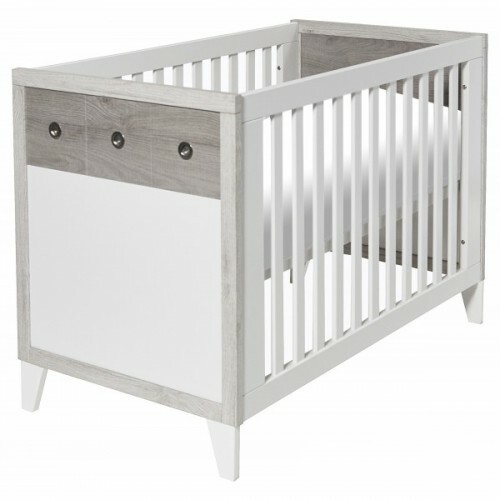 The Love n Care Brooklyn Cot is highly fashionable with its contemporary look and simple clean lines. The cot-bed comes complete with a 2 position base and easily converts to your child's first bed when they are old enough. 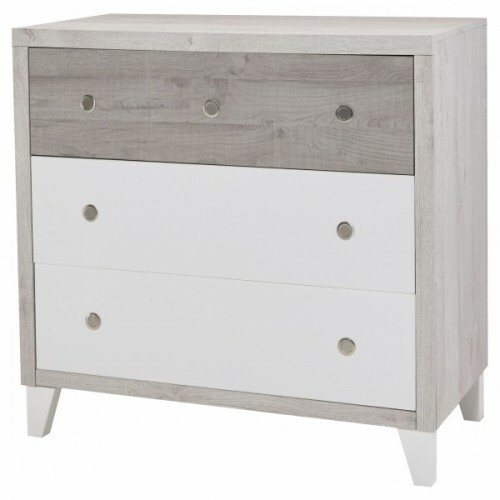 The Love-n-Care Brooklyn chest of drawers comes complete with 3 drawers and can be used as a changer with the addition of the detachable changer lid. The chest has three large drawers to store anything you need. The Brooklyn Dresser has 3 good sized drawers on smooth sliding rails provide a tranquil environment. Hidden fixings leaving no marks on the top when removed 3 good sized drawers on smooth sliding rails provide ample storage space. The Babyrest Deluxe Innerspring Mattress has a ultra-support foam layer for comfort and durability.